It´s autumn! Things you need to do this month! Since it is finally autumn everywhere around Germany - we´ve had some snow for three days as well - & it´s so cold I wanna stay in bed all day, I really love myself some autumnal things that I enjoy sharing with you! Magazines & Books save my life during autumn / winter time! They are not only relaxing but they are also one good excuse to stay in bed for some hours! 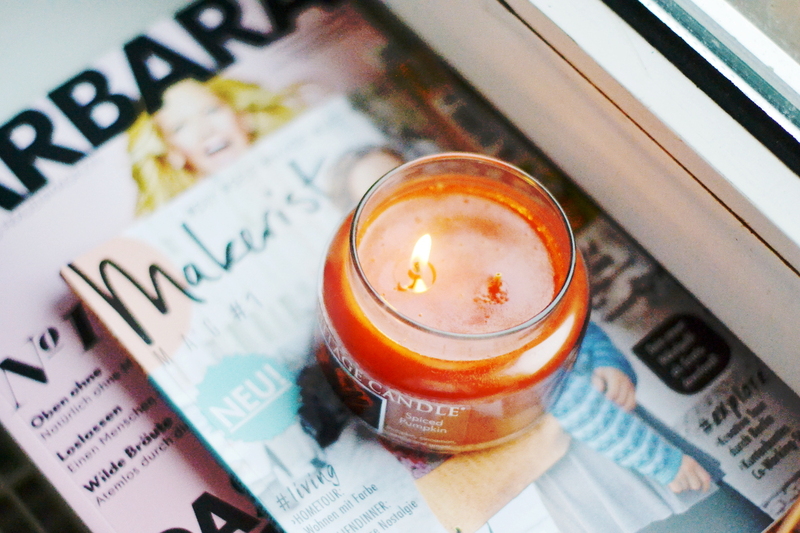 I really like to get myself some inspiring magazines to chill next to some sweets, a scented candle & a warm blanket! You can find my tips for books & also magazines you have to read here. My favorite things in fall are lots but I definitely love myself some good candles! Typical scents such as warm cinnamon & spiced pumpkin amaze & surprise me a lot. The cinnamon sticks Yankee Candle is placed in my bedroom, next to the TV - I really love lighting it in the evening hours, relaxing in bed with a good movie and a glass of wine. My office smells of spiced pumpkin, a nice candle by Village Candle. This is the most amazing scent ever that I cannot get enough of lately! You can get both via Amazon. Since I have a dog, I´m in the autumn´s nature every day! I need to go! Obviously I really enjoy my long walks in the cold so much since autumn is my favorite of all seasons. When the leaves are turning to warm colors, when they start falling & covering the forest´s floor - I do love that! Fog over the mountains, in between the streets, I´m even amazed by the rain recently. As you may know, I´m such a milquetoast when it comes to horror films & different frightened things. I would really like to go to Halloween themed parks to feel the scary spirit a little more because I love Halloween a lot - but obviously I would be scard to death... But you should definitely go to the Halloween Horror Fest in the Movie Park Bottrop, if you are ready to be scared! I recently saw some pictures & videos about it and it seems to be so good! Pumpkin is still the best in fall! I love cooking & baking with pumpkins and I´m also planning some nice meals here on the blog. I do not only love the great color but also it´s sweet taste & the various options you have! Made some pumpkin soup yesterday & I really want to try brimmed pumpkin with feta or pumpkin salad with walnut and caramel pear. Hmmm! Every season has it´s benefits! The little squirrel in me wants to collect nuts & leaves in the autumn time, just because I can. Our huge walnut tree is always full of secrets and nuts are a lot more healthy than crisps! Colorful leaves are great for your autumn decoration or a perfect fallish picture! du bist wirklich eine tolle Inspiration. 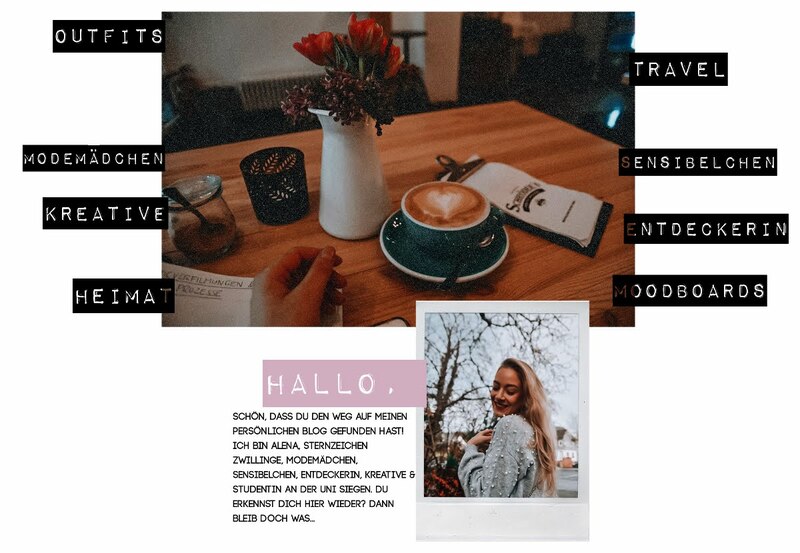 An dieser Stelle möchte ich einmal danke sagen für deine unheimlich tollen Posts, deine Fotos und die inspirierenden Ideen! Einfach nur <3 !!! Danke danke danke! Das tut so gut! !